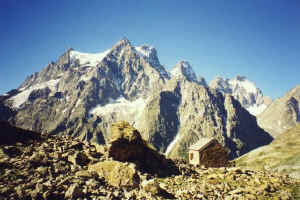 After the initial ascent, the views of the peaks of Barre des Ecrins and Mont Pelvoux are magnificent. The early mountaineers hut has been superseded by a large and comfortable refuge further up. 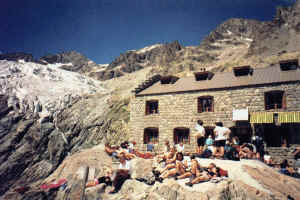 Very well sited refuge, overlooking Glacier Blanc and la Barre des Ecrins. 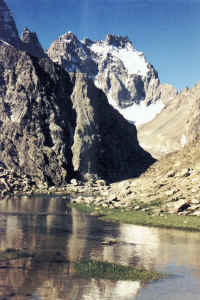 Very popular place in summer, provides food and accommodation. 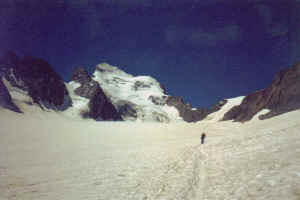 Beyond refuge du Glacier Blanc and passed refuge des Ecrins is a vast mountaineering area. Numerous peaks are accessible to well equipped and experienced parties.